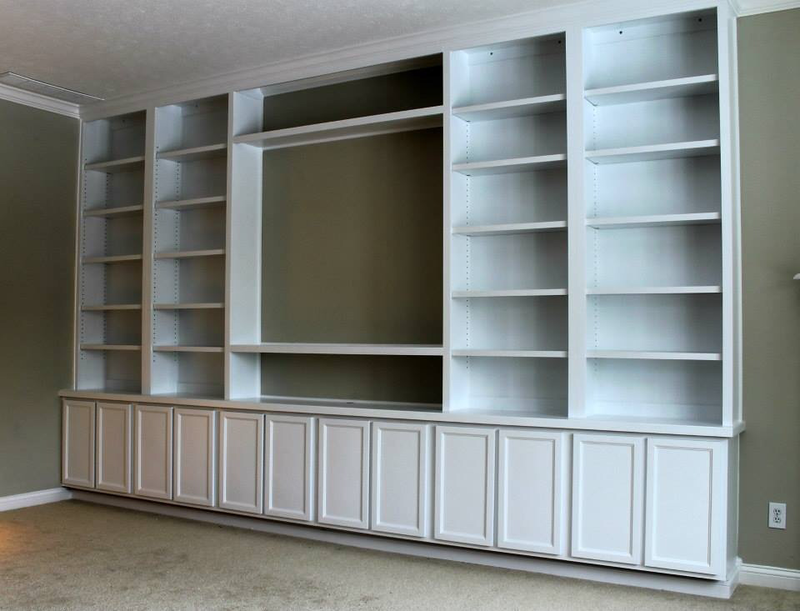 Custom built-ins can add function and style to any room. 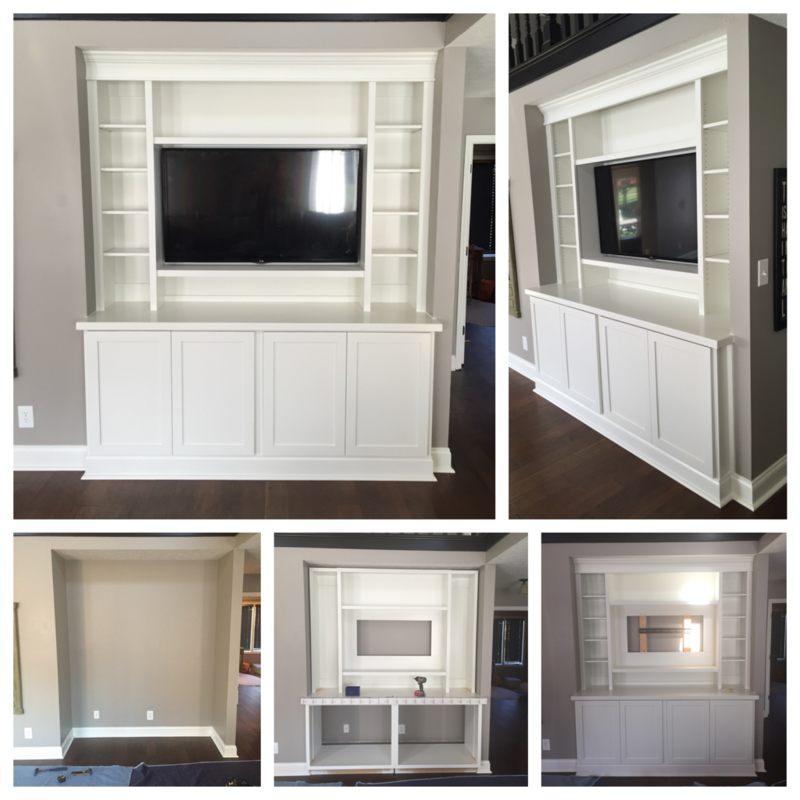 Whether it be a living room entertainment center, an office or den, or a bedroom the possibilities truly are endless. 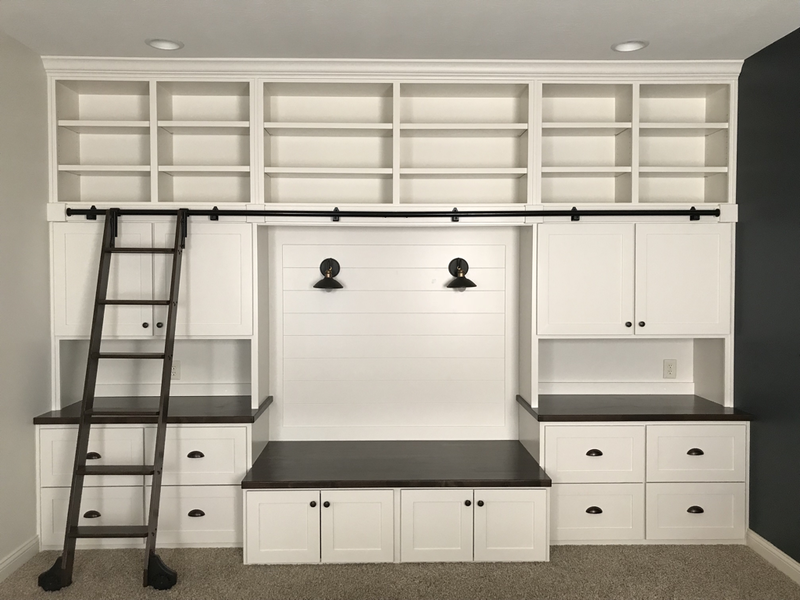 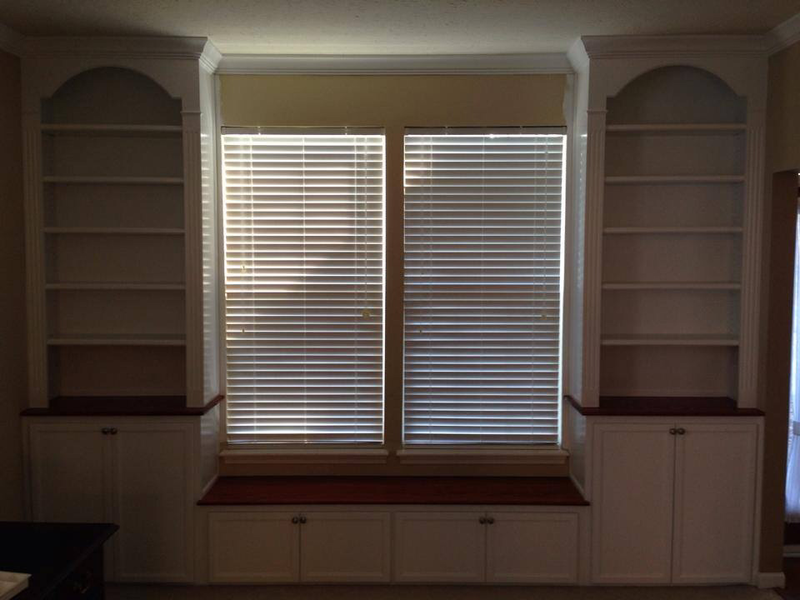 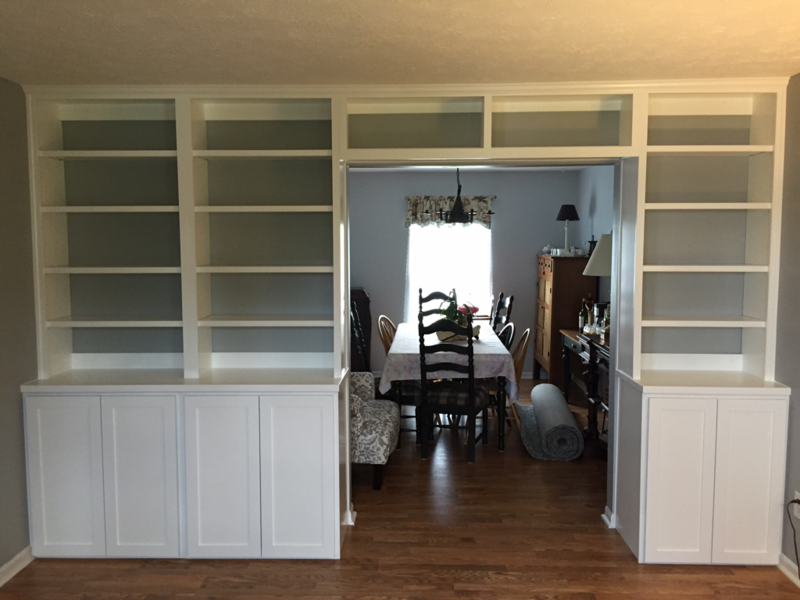 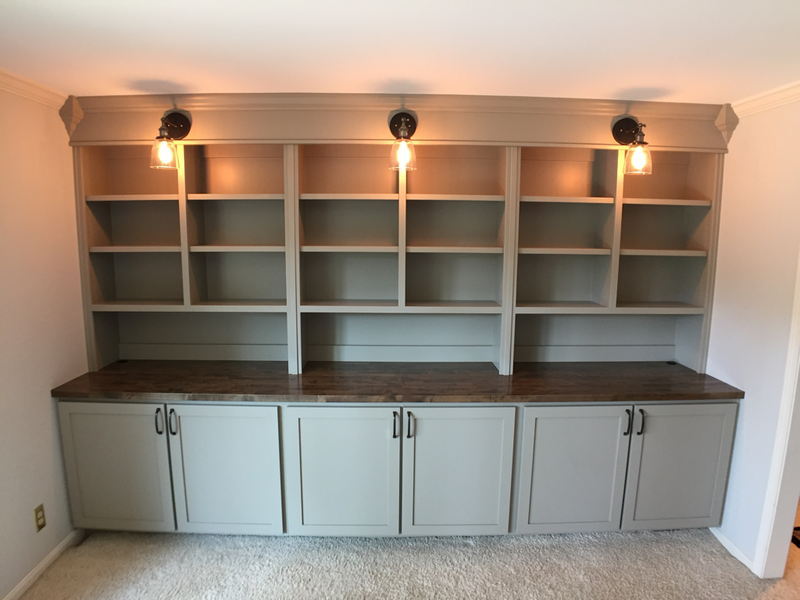 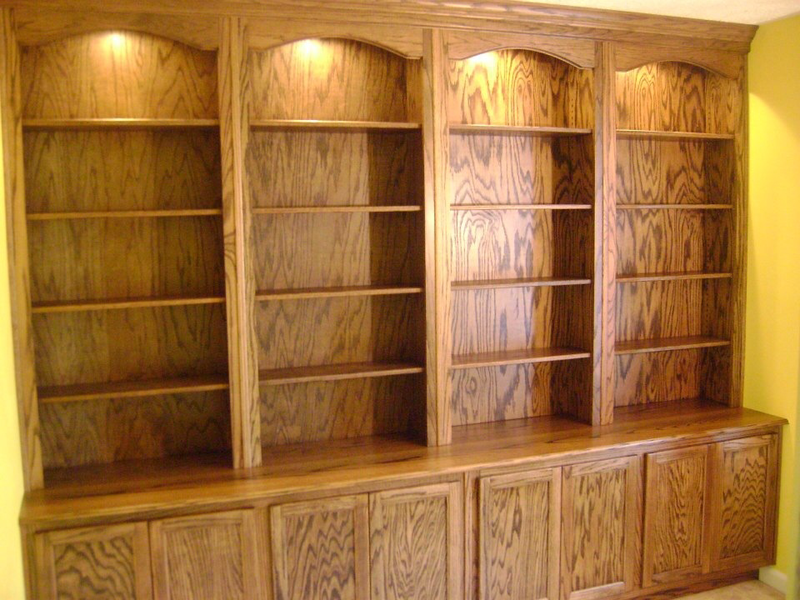 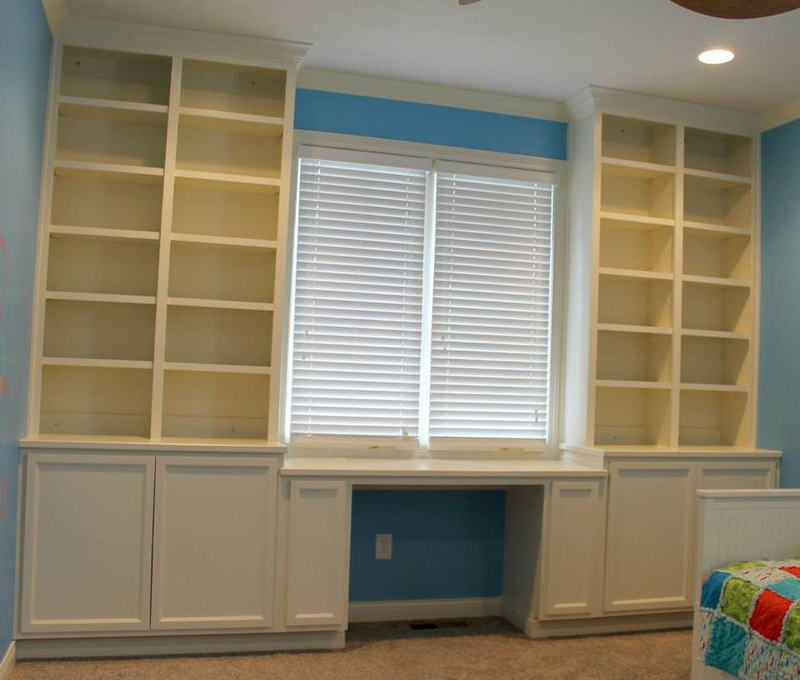 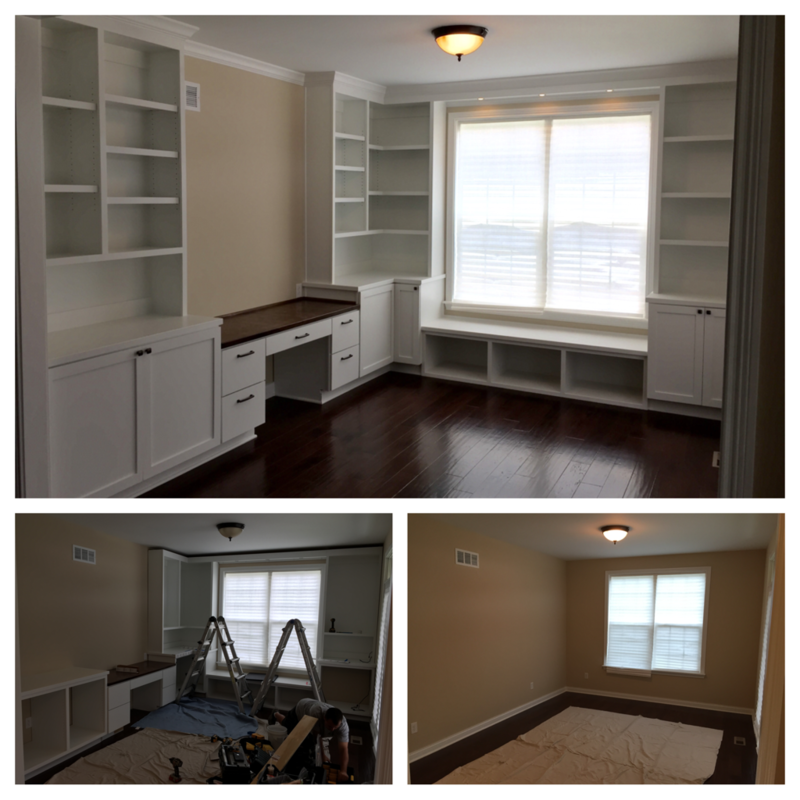 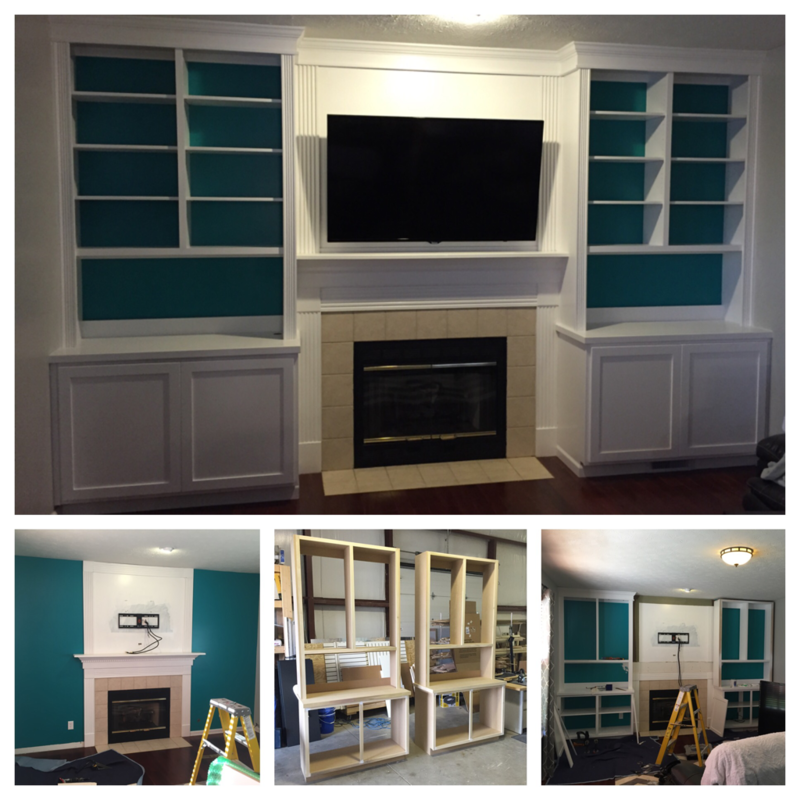 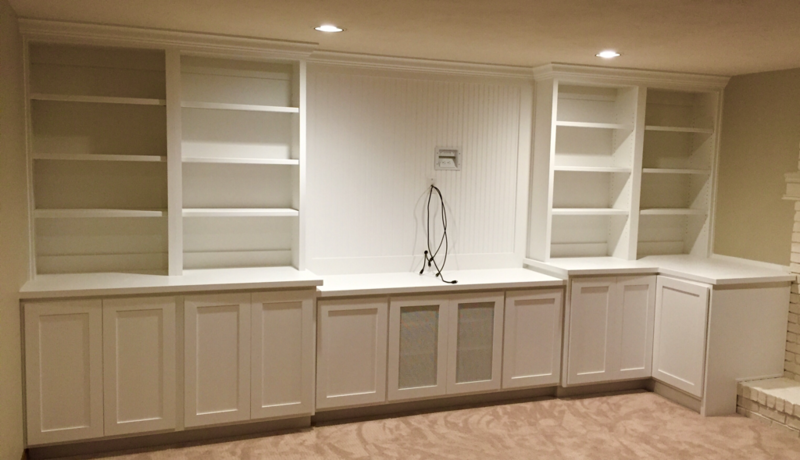 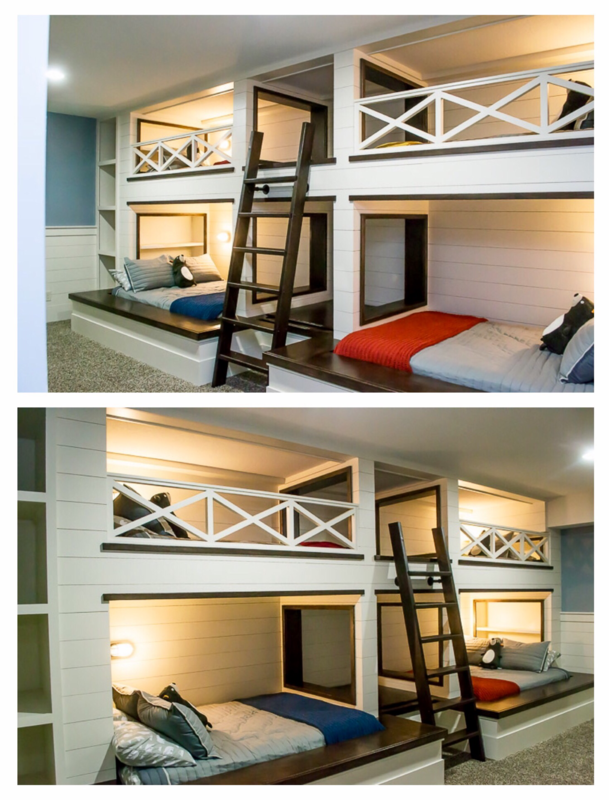 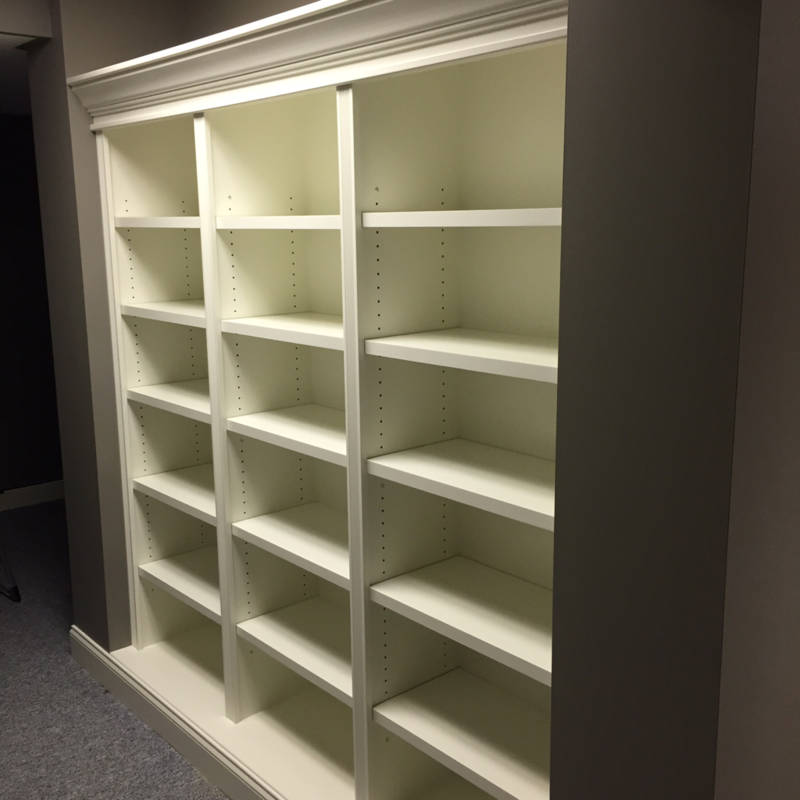 Below is a sample of the many custom built-ins we have completed. 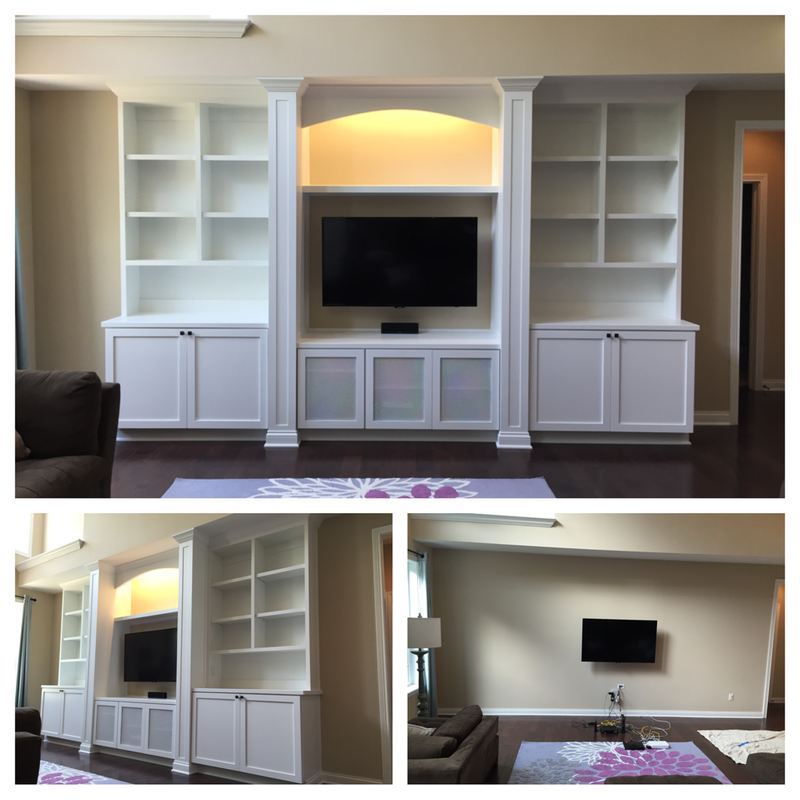 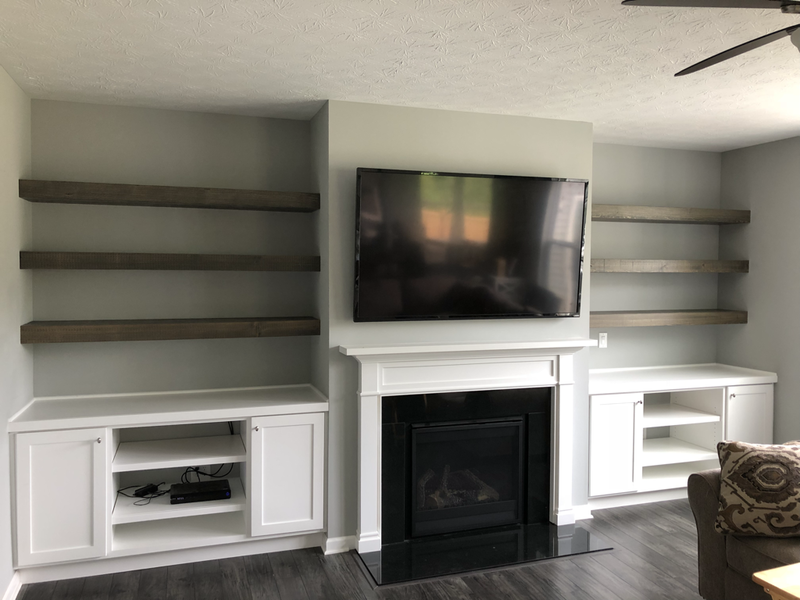 Living room entertainment center built-in with columns, tv console cabinet, base cabinets, bookcases with adjustable shelving, led lighting and crown molding. 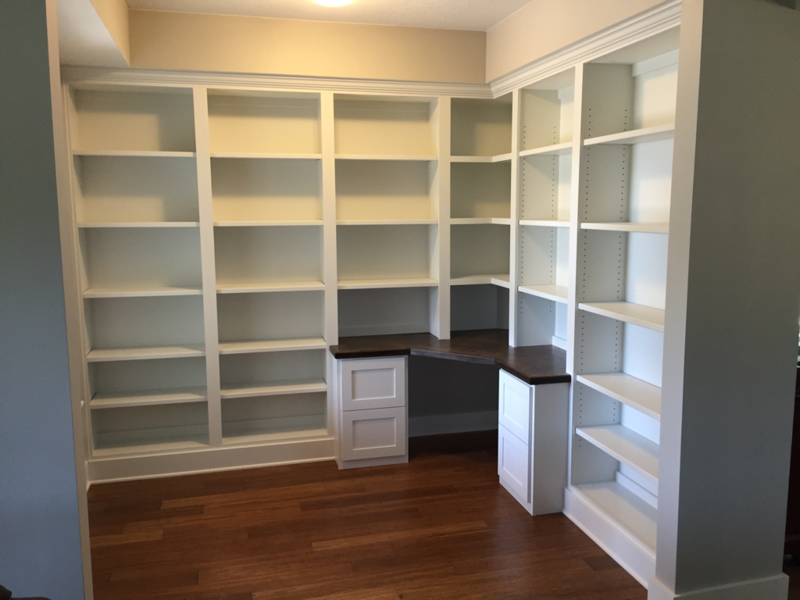 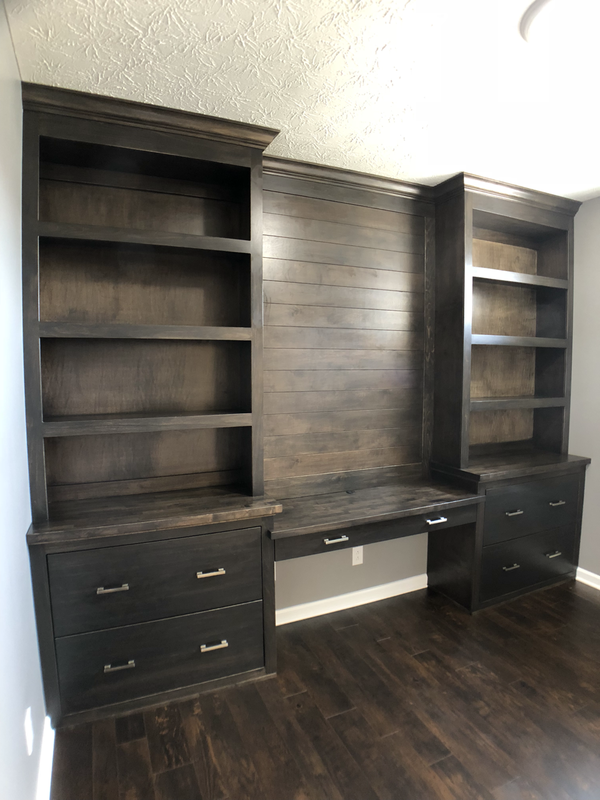 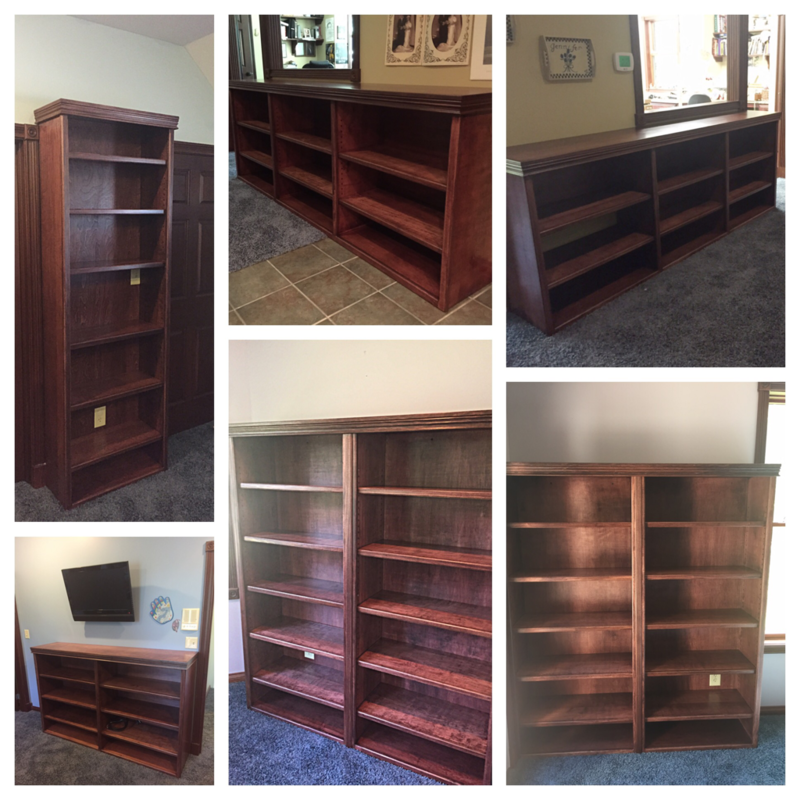 Custom office Built-in with corner desk with dark stained maple desktop,file cabinets, two walls of bookcases with adjustable shelving and crown molding. 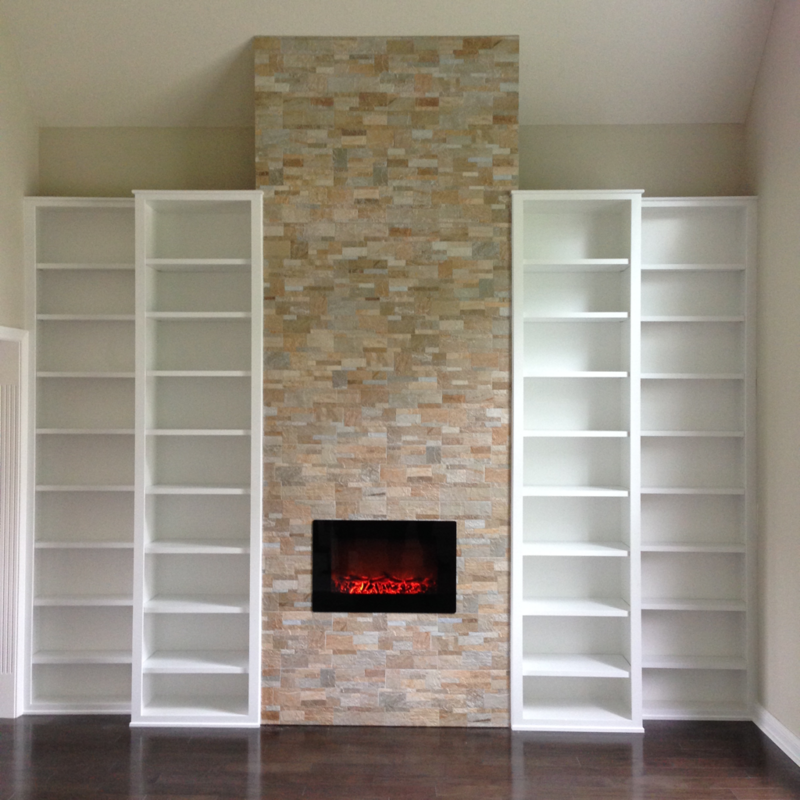 Custom built-in Cabinetry and bookshelves on either side of the fireplace. 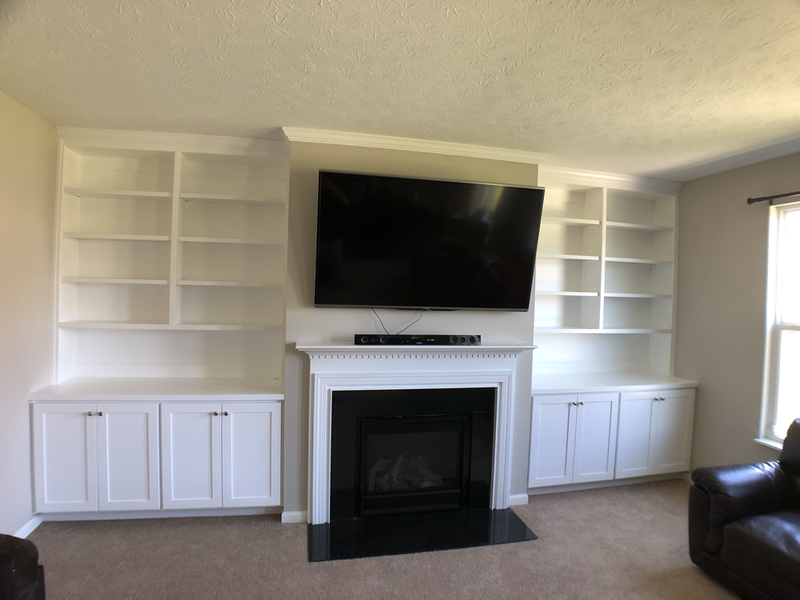 Living room built-in with base cabinets, bookcases with adjustable shelving, two piece crown molding and open backs to allow wall color to add a pop of color. 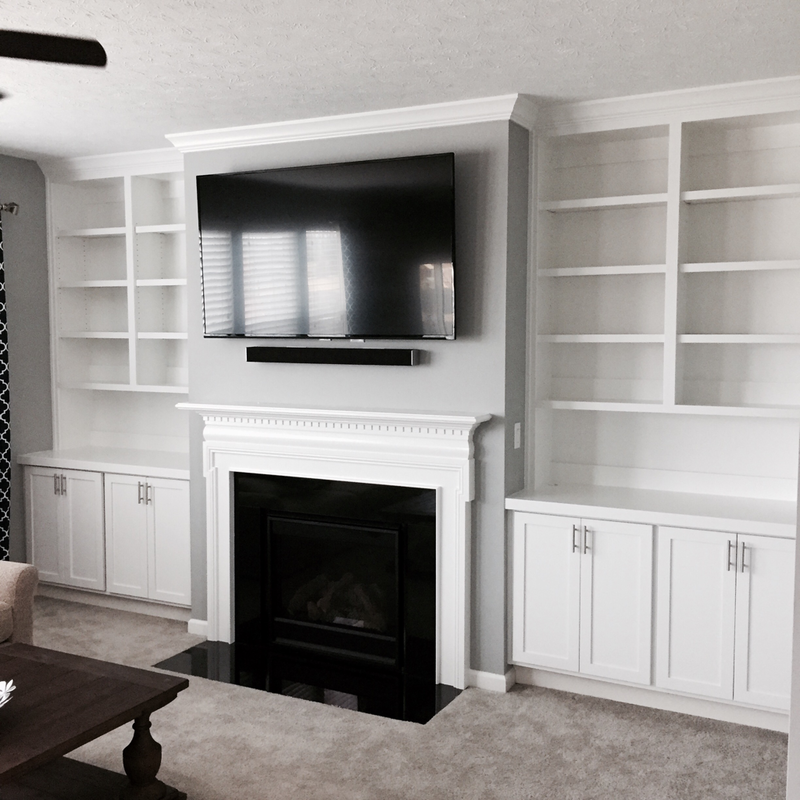 Formal living room built-in with faux stone ceramic tile fireplace with electric insert, bookcases with adjustable shelving. 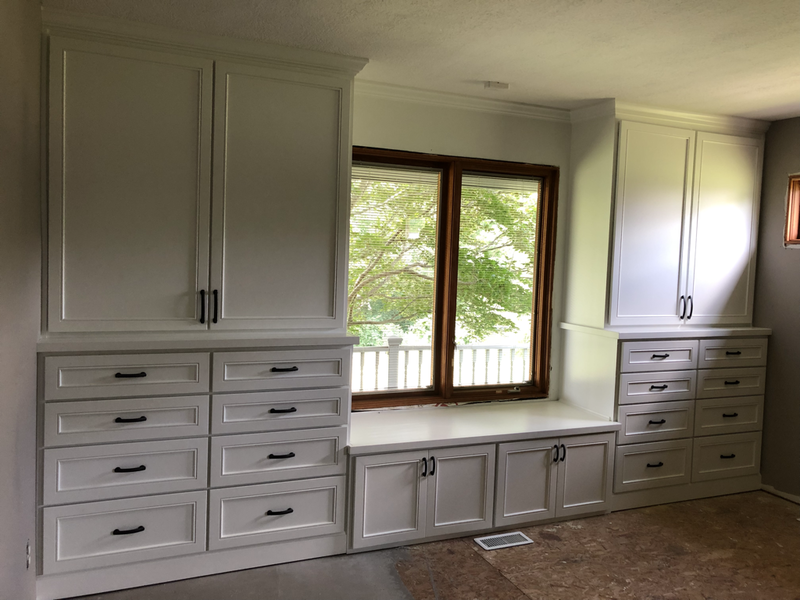 Window seat built-in with base cabinets, bookcases with arched headers, fluted column style face frames, crown molding and stained bench top and cabinet tops. 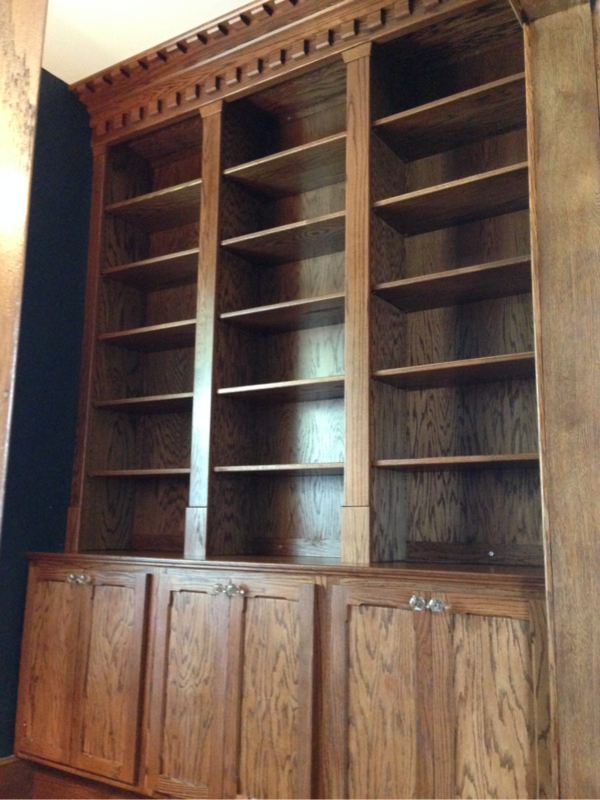 Solid oak built-in in 100yr old historical home with dentil molding and column style face frames.